I am in corpus christi texas and would like to know where I can purchase the OH ROME moscato d’asti. Thanks for your interest! I will have an answer for you in 48 hours. Thank you! Try an HEB Plus store. I found it at the HEB Plus in Victoria. Call and ask whether they have it, and if not when they expect their next shipment. The guy in Victoria promised to hold a six pack for me. In Lake Charles, La and would like to know where I can purchase Oh Rome Moscato D’ Asti. Do you offer online purchase? My cousin is raving about the Oh Rome! Moscato D’Asti and I want to try it. Thanks so much for your interest in Oh Rome Moscato D’ Asti! I am sending you an email regarding other options to get Oh Rome. Also, Texas will be re-stocked shortly. I live in Katy TX and a friend on mine brought Oh Rome Moscato D’asti to my house a couple of weeks ago and I have been trying to find it ever since. What stores can I find it in. I’ve looked in HEB, Kroger, Randalls, Specs…but none seem to have it or ever heard of it. Thanks.. I am sending you an email now regarding Red Chocolate in Arizona. I use to be able to find OH Rome in Pasadena at the HEB store, but I can no longer find it. Will you guys be restocking soon? Who is the distributor in the North Texas market? Bought the last bottle of Oh Rome Moscato D’Asti from my HEB in League City TX. They said HEB will no longer carry it since they couldnt reach an agreement with the distributor. 😦 not happy! I apologize for the terrible news in Leaue City Texas. I do believe another resoloution is coming soon. Please check back. Amity, Oh rome is still in stores in Texas. What liquor stores can I purchase Oh Rome Moscato D’ Asti in San Antonio, Texas? Also what is the price and can I get a discount if I buy 6 or more bottles at a time? Jack, An Oh Rome purchaser found it at HEB on Nacogdonches/Basse. Comment is above. Thanks! Do you have, or plan to have a supplier in College Station, Tx for your Oh Rome Moscato Wine? I was given your Oh, ROme! wine for an auction and we need to publish the value, I can’t find a price for this wine. Can you please tell me what it sells for? Hi Denise. The price varies from $13.99-$14.99. Thanks so much for trying Oh Rome Moscato. HEB is the only store that stocks the wine in Texas. You should be able to find it at other locations. They do, however, run out very quickly. If you have more trouble finding it please contact me again. Thanks! Who is the distributor for Heavyweight Cabernet in the Memphis, Tn area? I am the beer/wine mgr. for a HEB store in Waco, Texas and I have sold my last bottle of Oh Rome Moscato, which by the way was my number one selling wine, and I have customers asking for it nonstop. Is there a possiblity of HEB handling this wine again in the future? HEB has stopped carrying Oh Rome! It is now at Albertsons for $10.99. Thanks for sharing! Everyone go to Albertsons for Oh Rome! I just talked to a manager at the HEB in Leander, Tx and he says that HEB buys Oh Rome Moscato D’Asti in November every year as a seasonal wine. Where else can I get this wine? I can’t wait that long, it is tooooo good! Katie, I sent you an email earlier today. Thanks! I am in burleson tx area. I have been buying oh Rome at HEB. Went there yesterday and was told that it had been discontinued. WHY? Is there not another store in tx that carries it? I leave in Texas and used to be able to buy Oh Rome! Moscato D’Asti at HEB. But due to politics, they no longer sell this wine. Where else can I purchase this wine? We love love love oh Rhome, in burleson Texas !! However our HEB said the discontinued it because they couldn’t get it fast enough.. Our community was buying them out as soon as it was stocked!!! Could you please please let me know where I can buy it online? 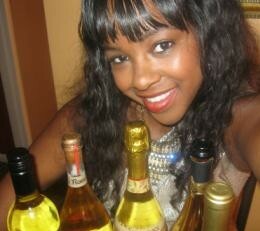 Where can I buy Oh Rome Moscato D’Asti in San Antonio, TX? Hi Stacey! Where can I find any of the wines here in Norfolk VA? Tonia, Im not sure, but I’ll see if I can find a location for you. I have been buying “Oh Rome! Mocato D’Asti” at HEB but can no longer find it…please help. Where can I find “Oh Rome!” in Houston Texas? Love this wine!!! where can I buy it at in Arkansas? I am wanting to purchase “Oh Rome! Mocato D’Asti” in southern Texas; specifically in the McAllen, Mission, Edinburg area. Can you help please? I can’t find Oh Rome Mocanto anywhere in Houston. We love this wine. Please help. stacy” I have been looking to buy this wine in Alabama name Sau I cant fined it anywhere do you have a store carrying it .